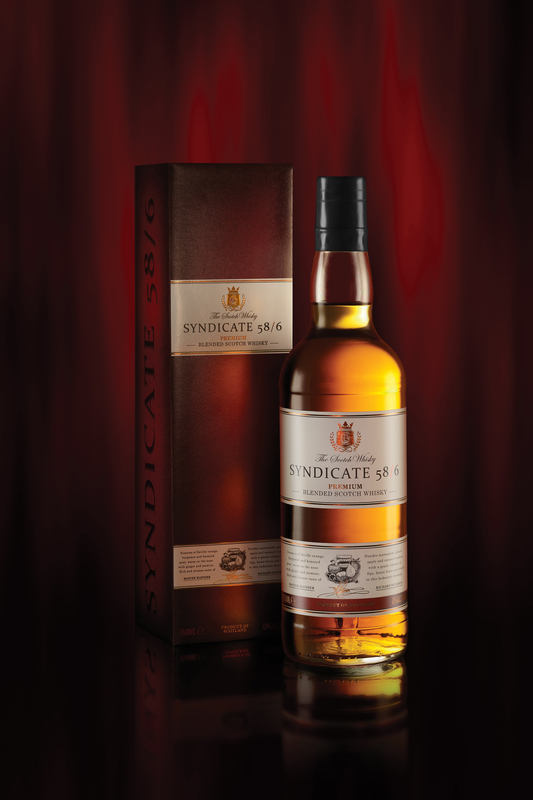 The Syndicate blend contains 18 Single Malt Whiskies and 4 Single Grain Whiskies. The quality and consistency of the blend has been maintained over the years by operating a ‘Solera’ system whereby when additional 12 year Old whiskies are added they are reblended with the older stock. Thus the Syndicate blend still contains small quantities of the original 1958 blend. One of the things that sets the Syndicate blend apart from other blends is that it is ‘married’ and finally matured for up to 2 years in 4 year old Oloroso Sherry casks which we import from the Spanish region of Andalucia. Heady smells of blackcurrant with only a hint of astringent alcohol on the end. It has an almost bourbon-like nose, with a strong oak scent, but finishes on a bright, almost vegetal note. Sweeter than you would expect for a scotch, especially when you consider the bite you often assume to come from the blends. Bits of citrus, with just a bit of spice on the end. Falls a bit flat on the end, but front and taste is very good and well-balanced. The addition of ice somewhat dulls the complexity of the flavors. There isn’t really enough of alcohol burn to necessitate the addition of ice. While the blend is at its strongest while drank neat, the addition of ice (or even some distilled water) brings out the sherry-finish. Blended scotches have gained a bad rap over the years. Somewhat unfairly, especially when you consider that there are little bits of brilliance out there like the Syndicate 58/6. While you make balk at the price, the $150 Syndicate holds its own against some similarly priced single malts. Don’t write blends off quite yet.